What? 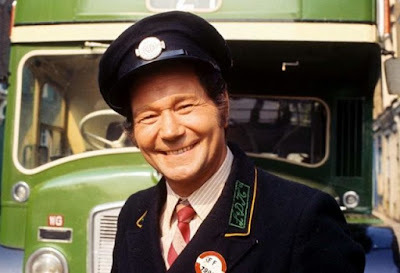 I can't think of a blogpost subject today. Consequently, I am asking visitors to suggest blogpost ideas for me. I will pick one and run with it as long as the request is not vulgar, illegal or incriminating. I await your suggestions rather like a farm animal deposited outside an abattoir. In these modern times, it is sometimes suggested that people have become very self-centred and that basic manners are no longer in evidence. That last passenger was me. This is a small part of Yorkshire culture. It is drummed into us in childhood. If somebody has done something for you, provided a service or whatever, you say thank you. I am happy to note that both of our grown-up children continue this laudable tradition. Perhaps selfishness and ignorance are not as prevalent as it is frequently assumed after all. Regular visitors to this humble Yorkshire blog have had to tolerate numerous illustrated posts connected with my various rambles. Once again, your correspondent begs for his readership's kind forbearance as he reports on his two most recent country walks. Here in the heart of the island of Britain, we have had some gorgeous days recently - illuminated by sharp, wintry sunshine. On such days it seems so wrong to remain indoors doing indoor things like clipping one's toenails or baking brownies or slouching in front of the television. It's good to get out. Apart from anything else a vigorous walk in the countryside has a very pleasant effect upon one's psychology - staving off any symptoms of the winter blues. Last Thursday I headed out of the city in a north easterly direction. passing The Doncaster-Sheffield Airport - also known as Robin Hood Airport. I arrived in a village I had never visited before. It sits in a very flat peatland area that is ingeniously dissected by a network of field drains. The village is called Wroot and it is the westernmost settlement in Lincolnshire. It is a watery area and in very wet weather I am sure that the drains are filled to overflowing as the surrounding fields begin to flood. I walked over The River Torne - not on its surface as some of you might have imagined - but via a bridge. Then out through fields and birch woods to Hatfield Moor - part of the Humber-Peatlands Nature Reserve. A five mile circle brought me back to Wroot which is a linear village built on a slight ridge - I guess just high enough to be above any flood waters. After Wroot, I tootled homewards via the village of Finningley and our local airport that in fact occupies the site of what once was R.A.F. Finningley. Today, not wishing to drive far, I headed south to the Derbyshire hamlet of Cowley and completed a delightful five mile walk through woods and fields, along Barlow Brook, passing fishing ponds. I disturbed two grey herons. They seem very skittish birds whch at the first sight of a human being will invariably flap away. I suppose they are good judges of potential danger given our past record! Up the slope through yet another stone stile and along to Barlow Lees before squelching across waterlogged sheep pastures back to Cowley. Two hours of splendorous walking and it was not yet one o' clock in the afternoon. I felt invigorated and also happy that I had not asked too much of my right knee. Finally - I think that medical doctors should prescribe country walks for several common ailments instead of dishing out tablets all the time. Country walks remind us that we are alive and they get oxygenated blood pumping through our blood vessels. On Saturday night, we went to a small theatre in Beverley which is a vibrant market town in the East Riding of Yorkshire. It's where I went to school. We were with Tony and his lady - Pauline and they had kindly sorted out the tickets. I didn't know what to expect as I had never heard of Mitch Benn before though thinking about it I must have inadvertently heard him on "The Now Show" on BBC Radio 4 without realising who he was. He was manic, energetic, musical, irreverent and above all funny. His two sets covered a wide range of topics along with self-penned songs. There was mirth and anger, self-deprecation and a strong sense of the absurd. Mitch was rolling along so swiftly it was as if he'd swallowed a handful of amphetamine pills before the performance. He had much to say about Brexit which increasingly appears like a form of unnecessary national self-mutilation. It was as if he was articulating what most of the audience were already thinking about our country's painful extrication from the European Union. We went to a wedding down by The River Ouse. It was held in Saltmarshe Hall - once the family home of the noble Saltmarshe family. Now it's a remote wedding venue. We were there to witness the marriage of my friend Tony's youngest daughter to the love of her life, Jason. There were around seventy guests. It was a civil ceremony. Shirley and I sat at the back of the room. Jason kept blubbering tears because he was so overwhelmed with joy. It was if he didn't understand what was happening and at one point he slapped his own face and said "Stop it!" Touching and funny. As the registrar delivered her official spiel, I looked out of the parlour window and saw several figures upon the lawn. It was a shooting party. There were four or five beaters, several gun dogs and three men carrying rifles. One of them had a couple of dead pheasants tied to his belt. Meantime, indoors, Jason and his pretty bride were saying "I do" and weeping some more. Several minutes later, on the stone steps of the hall, as the photographer was directing wedding guests, gunshots rang out across the fields and, wag that I am, I piped up, "It's a shotgun wedding!" Everybody laughed. It's not what you expect on the happiest day of your life - pheasant shooters blasting frightened birds out of the sky. I doubt that it is very auspicious which happens to rhyme with Mauritius that happens to be the newly weds' honeymoon venue. Nonetheless, I suspect that they will be very happy together and that my old mate Tony could well be a grandfather by this time next year.. Good luck to them! It was a very lovely wedding. We were carrying children and the elderly through lapping waves to the tenders bobbing in deeper water. Out there in the bay off Kolatoi Beach three great ocean liners were waiting to greet them. One of these huge ships was the "MS Harmony of the Seas" - the biggest ocean liner in the world. Requisitioned by The United Nations, it had sped from The Bahamas to The Bay of Bengal in record fast time. On Kolatoi Beach, the people waited patiently. They had little energy and many were traumatised. They had seen so much. So much horror. The rapes. The slicing of machetes. The cruel swinging of babies. Their heads smashed into trees or concrete. Those who survived had to leave. They had no option. They took whatever they could carry and fled. In my dream, we gathered them all from the beach and followed them to the ocean liners where other volunteers awaited them. Teams of medics, psychiatrists, counsellors, cooks and waiters. There was clean water, proper bathroom facilities and clean clothes. We guided the survivors to their cabins and witnessed some of them cry tears of joy. An old woman with thin, bony fingers clutched my hand and held it tight. 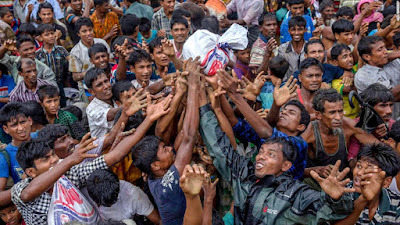 Where the displaced Rohingya would go after this humanitarian operation we did not know. 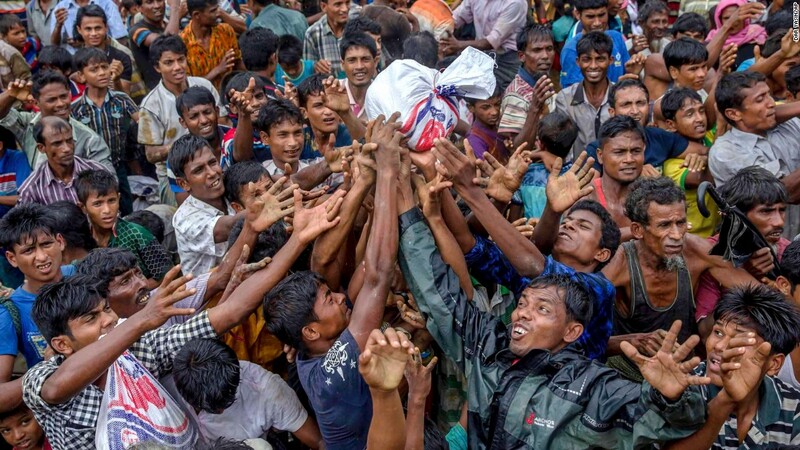 Surely they could never go back to Burma (Myanmar) could they? Not after what had happened. Later, standing on the beach, we watched the liners steam away over the horizon to a new future...We had done our bit. It used to be that I didn't give a monkey's about mugs I drank from. As long as the vessel was clean and big enough then it was okay - no problem. However, over the years, I have become more and more particular about the mugs I drink from. Of course I could drink from any mugs but I feel much happier and more comfortable drinking from what have become my preferred mugs. To illustrate my mug obsession, I just went in our kitchen to snap the following four photographs. If I don't have my drinks from the vessels pictured above I feel a little restless or glum. Other mugs just aren't right. Obviously, my response was negative even though I have deliberately poisoned dozens of dinner guests and the overall survey conclusion was that I was "highly unlikely" to be an OCD sufferer but I am still concerned about my mug mania. How about you? Have you got any quirky obsessions? Recent Yorkshire Pudding posts have looked out to the world beyond my obscure little life, looked out to matters that concern me but over which I have no influence or control. There's been Robert Trump and Donald Mugabe, plastics in our oceans, the plight of refugees and of course Jesus as a sausage roll courtesy of Greggs. Perhaps, like a hermit crab on Henderson Island, it's time to return to my plastic shell and post about ordinary goings-on in The Land of the Rising Yorkshire Pudding. First of all, a big shout out for our lovely son Ian. He was on BBC Radio 4's "Food Programme" on Sunday - in a magazine item all about veganism and plant-based diets. Both he and his Bosh! colleague Henry came across really well. We are so proud of their Bosh! journey so far and it really seems that there's a long way to go yet. We listened to that radio show whilst out and about in the heart of Derbyshire as I was taking yet more pictures for the geograph project. For once, Shirley came too. We began in the former coal mining village of Clay Cross south of Chesterfield. She had never been there before and we had a good ramble round it in the sunshine, finding it far less downtrodden than its post-industrial reputation suggests. Then we moved westwards to the Amber Valley stopping here and there and taking short walks. Again, it was part of Derbyshire that Shirley had not seen before and she oohed and aahed about the countryside as we tootled along. Sunshine brings out the best in places. To get home we headed towards Darley Dale and then through the Chatsworth Estate to the village of Baslow where we had a light lunch in the bustling "Wheatsheaf" pub-restaurant before resuming our homeward journey. It had been a grand day out and yet it was only 2,30pm when we made it back to our palatial mansion. Last night on "Blue Planet II", David Attenborough bewailed the presence of plastics in our oceans. He pointed out that a hundred years ago there was absolutely no plastic there. Furthermore, he alluded to the damage that plastic is causing to our precious sealife. Turtles get caught up in fishing lines. Fish ingest .small pieces of plastic. Seabirds are garroted by it and mother whales' milk is badly affected by it. It's a modern day horror story. 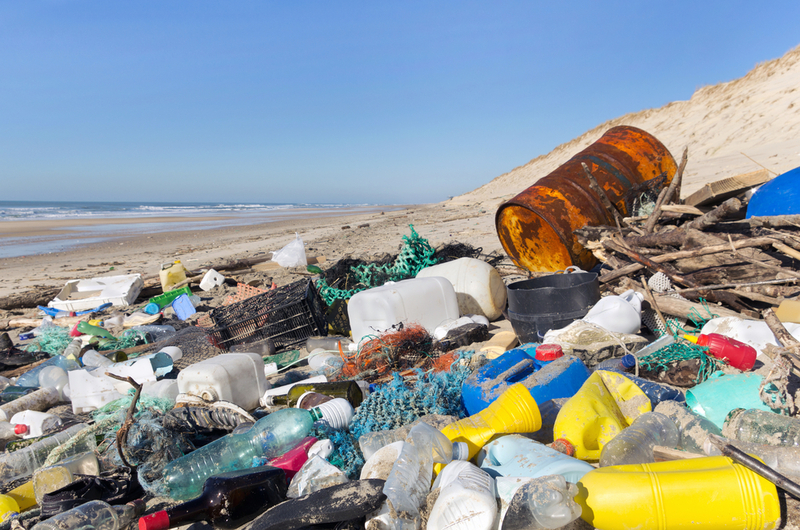 Some of the plastic waste is so small that you can only see it with the aid of microscopes. 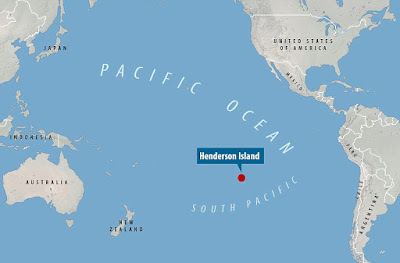 It all brought to mind Henderson Island in the southern Pacific Ocean. That island is a powerful symbol of the effects of modern day living and the way we abuse our planet. Though a few Polynesians once lived there, it has been uninhabited for hundreds of years. Undoubtedly, the Polynesians lived in harmony with Nature and had almost no effect whatsoever upon Henderson Island's delicate eco-systems. Earlier this year, a study of Henderson Island was completed by The University of Tasmania in partnership with the Royal Society for the Protection of Birds. Together, they estimated that there are currently 38 million plastic items on the island\s beaches - weighing approximately 17.6 tonnes. 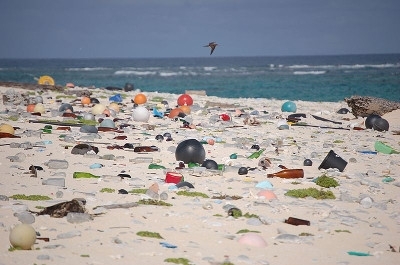 Very obviously this plastic flotsam has had a big and bad effect on marine life upon and around Henderson Island which I remind you has been uninhabited for very many years and should be a pristine atoll. The plastic has drifted there across the seven seas. Plastic bottles, supermarket bags, packaging material, bits of fishing nets, bottle tops, cartons, trays, takeaway containers, discarded fishing line, plastic detritus - all speaking eloquently about the relationship between human societies and our beautiful planet. We have been living in a throwaway, careless world. Surely it is nigh time to do something bold and brave about waste plastics. We owe it to our children and to our children's children's children and to the incredible creatures that inhabit our oceans. Henderson Island and "Blue Planet II" prove that. But who is really listening? As I write this post, our television is showing live images of happy people in the streets of Harare, Zimbabwe. 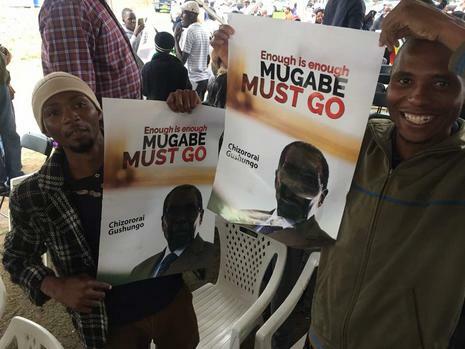 They feel they are on the threshold of a new era as they urge Robert Mugabe to do the right thing and go. Undoubtedly, he played a big part in helping Zimbabwe to secure its independence but the past thirty seven years of his leadership have seen trying times of internecine struggle, economic incompetence, malnutrition, graft, waste and intolerance. What was once the bread basket of Africa has become one of that great continent's basket cases. At present, it does not appear that Mugabe has many supporters left who are prepared to fight for the continuation of his presidency. He has abused his power, amassing a huge personal fortune and the typical trappings of a multi-millionaire - while his people have suffered abysmally under his stewardship. I am sure that we all hope that the next period of Zimbabwe's history will not be blighted by in-fighting and bloodshed. It would be so wonderful if the country could move peacefully to better times, underpinned by free and fair elections that create a new leadership which seeks to help the ordinary people to make Zimbabwe successful again, leaving the Mugabe years behind. On this happy day, as Zimbabweans dance in the streets, I wish the whole country the best of luck as it steps forward into the bright unknown of the post-Mugabe years. I can hear a voice on the the radio singing: "There may be trouble ahead" but on this optimistic Saturday in the middle of November 2017 - Let freedom ring! First there was Chaucer, then Shakespeare and Wordsworth, Shelley and Tennyson, Thomas Hardy and Ted Hughes. Now English poetry brings you Yorkshire Pudding! (Not the re-hydrating fellow in the picture below but the author of the sensitive and well-crafted ode beneath it). Inflated with a hot air pump? Will now have the hump! In promoting their scrummy advent calendar, high street bakers Greggs have recently attracted a lot of criticism. Most of the complaints have come from religious groups. 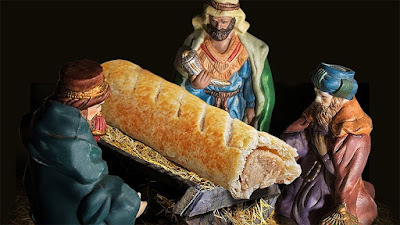 You see, in creating their unique nativity scene, Greggs chose to replace the baby Jesus with a sausage roll - as you can see in the picture above. It's sacrilegious! It's a disgrace! One complainant pointed out that Jesus was a Jew so the connection with pig products seems particularly insensitive. Disclaimer: There is no known connection between "The Fish Guy" - Mr Gregg Barlow from South Carolina, USA and Greggs - Britain's favourite high street bakers. Around Britain and the British Commonwealth of nations, there are many statues of Queen Victoria. This one stands in our local park. It was commissioned by Sheffield City Council soon after her death in 1901 and was unveiled with much pomp and ceremony outside the town hall in 1905. However, it was only there for twenty five years. Victoria was shifted to Endcliffe Park in 1930. And ever since she has stood near the park entrance in all weathers and all seasons. She sees the early morning joggers, later young mothers with pushchairs and dog walkers too. Later still she watches the lunchtime sandwich eaters and when night comes she sees young lovers and cider drinkers, teenagers on bicycles and the traffic still circling Hunter's Bar roundabout. She watches it all. She was The Empress of India and Queen of England for sixty four years. It was a reign that saw incredible change and massive historical steps towards the world we know today. She saw it all and her name is synonymous with that energetic age of industry, commerce, exploration and culture. She was small of stature - just under five feet tall - but gave birth to nine children, including her successor - King Edward VII. She died at Osborne House on the Isle of Wight, leaving several rather odd requests for her funeral arrangements. She asked that a plaster-cast of her late husband's hand should be placed in the coffin beside her as well as one of his dressing gowns and she also asked for a lock of John Brown's hair and his mother's wedding ring too. Brown was a member of her Scottish staff with whom she enjoyed a special bond over many years. And now the autumn leaves frame Victoria in Endcliffe Park. Soon another winter will arrive. I hope she is wearing her thermal underwear. Down at my local Oxfam shop, the manager employs a wide range of volunteers. For example, some have mental health issues, some are asylum seekers and some are super-normal well-balanced intellectual giants like me! A few weeks ago, I was introduced to a tall and well-groomed gentleman called Aman*. He is about forty years old. I was asked to give him some till training. After the shift, I walked homewards with Aman and he told me his story. 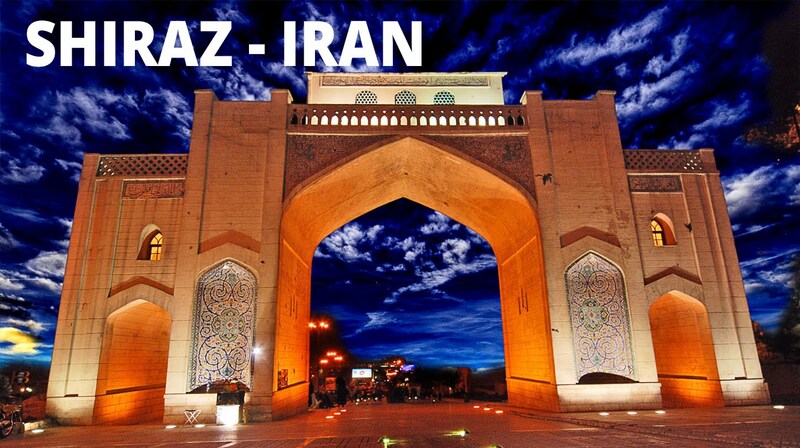 It turned out that he was from the city of Shiraz in Iran. Over several years, he found himself at odds with Islam even though he had grown up in a traditional Muslim home. He went through the motions but secretly he was turning to Christianity. This is not a belief system that meets with much approval in Iran - either from the hardline Islamic government or from the fervent stewardship of neighbourhood vigilantes. But Aman kept quiet, outwardly living a lie and even praying at the mosque. Perhaps he would be all right. He had his own small business in Shiraz though I didn't find out its nature. Gradually, rumours began to spread about Aman's behaviour and the people he had been associating with. It was a scary time. Then one day, as he was heading home from work, a young neighbour told him that the police were at his parents' house. Aman knew that they had most probably come for him. He could easily end up being tortured or even killed. The very best he could expect would be years in prison. This is the price you pay for being a Christian in The Islamic Republic of Iran. So Aman waited till the police had gone and after tearful goodbyes with his family he fled. He fled northwards to the border with Turkey, somehow got across it and managed to make his way to the Mediterranean port and tourist resort of Kusadasi. There he gave all the money he had to people smugglers. Late at night, he was forced into a flimsy inflatable boat at gunpoint along with thirty or more refugees from different countries. Fortunately, the sea was calm that night and they were able to voyage safely to the Greek island of Samos. He remained on Samos for several months after registering with the authorities there. Aman said the conditions were awful. It was rather like being in prison but finally he gained permission to leave the island and travelled to mainland Greece. After Greece it took three weeks to make his way to Calais in France, through Serbia, Hungary, Austria and Germany.It was a terrible and challenging journey but not as frightening as the hours he had spent on the inflatable boat. At Calais, he slept in the notorious Jungle encampment but a few days after arriving he climbed into a goods lorry that was bound for England and arrived here safely the next day. He officially sought asylum in London and was then transferred to a holding centre in Manchester or Liverpool - I forget which. After two months there and with his asylum request now being properly processed he was able to come to Sheffield to join his brother and his sister-in-law. It's about a mile to the top of Ecclesall Road from our house. In that distance I had heard a living, breathing, real life asylum seeker's story. There were other questions I would have liked to ask, colouring in the pictures but I haven't seen Aman since that October evening. He works on Thursdays now, still not allowed to take on a paid job because of the conditions of his asylum seeker's status. Of course we have seen it all on our televisions. Crowded inflatables in the Mediterranean. Barbed wire camps in Greece. Massing at European borders, filthy conditions at The Jungle and desperate men trying to board lorries that would bring them to England. But to hear it all from the mouth of an asylum seeker who completed such a journey - well it made it all seem so much more real. No doubt I will see Aman again and in spite of myself I will ask more questions. It is a hell of a story. A story of our times. *Aman is not his real name for obvious reasons. It looked fine on my map of The White Peak. I would travel via Youlgreave to Dale End, park up and walk south through Gratton Dale, thence to Elton Common and down to Elton itself before returning to Dale End via Gratton Lane. But maps do not show everything. The first part of Gratton Dale was no problem. I passed an old lime kiln and observed the sapphire blueness of the sky as I rambled along, happy to be out in the countryside once more. After a few hundred yards the path through the valley started to become rather muddy. I kept to the margins sometimes striding from rocks to firm green sods. "I'll just get through this", I thought to myself, "I'll soon be back on solid ground". I noticed hoof marks in the mud - evidence that as well as occasional ramblers, cattle also used this this pub;ic right of way. They had really churned it up and in places the mud was knee-deep. At the sides of the path there were hawthorn and rosehip bushes, meaning there was no escape from the mud. My progress was reduced to a snail's pace as I tried to avoid two things - the cloying mud and the very real possibility of falling down in it. When I thought I had reached the end of the mud, I looked ahead and there was more mud. It was awful. It went on for half a mile or so. Finally, the mud began to recede as the path climbed up towards Mouldridge. What a relief! But as I turned another hawthorn bend what did I see? No! Not more mud but The Guardian of the Path! It was a young bullock who had somehow got away from his little herd and appeared lost and jittery. He jumped whenever I moved and blocked my way. For a moment, I thought of turning back but another half a mile of mud! I would rather take the risk of being trampled to death by a frisky bullock. Bravely, your intrepid correspondent edged past the snorting Minotaur and up out of The Valley of Death in which The Quagmire of Bovine Revenge has consumed countless walkers in fancy cagoules and hiking boots. An old copper beech tree. R.A.F. Sergeant A.J. 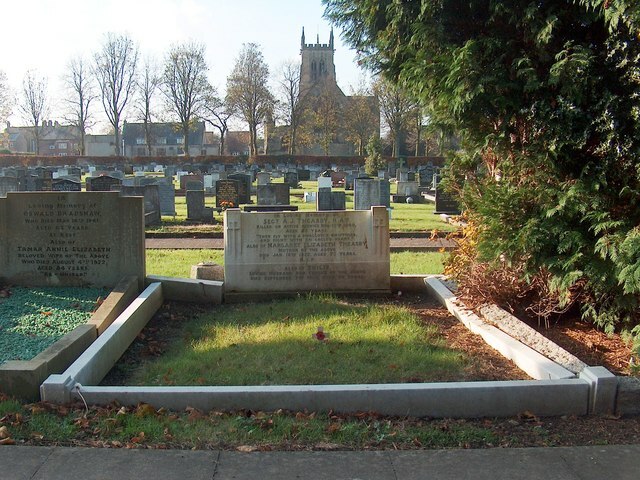 Theasby (!917-1940) R.I.P. Sheffield is not blessed with a wide array of art galleries. There's The Graves Gallery above The Central Library, The Sheffield Institute of Arts Gallery on Arundel Street and Weston Park Museum opposite The Children's Hospital. The latter used to have four big display rooms but with the modernisation and expansion of the museum the gallery was reduced to just one big room. Yesterday, I was in the mood for absorbing some art so I ventured inside. The on-going exhibition is of pictures associated with Sheffield going right back to the seventeenth century and right up to the present day.There was a fine selection of paintings but they weren't displayed well. The lighting was far too subdued and the artworks were hung at three different levels so to truly appreciate the top level pictures I would have needed a ladder. A torch (American: flashlight) would also have been useful. The paintings show Sheffield's growth from a small market town into a fiery furnace of steel making and beyond that into the current post-industrial era. As is often the case in British art galleries, there was a big sign warning that photography is not allowed. It is funny that we once visited the amazing Getty Art Museum in Los Angeles and there there was absolutely no problem with taking pictures. A member of the museum staff said, "Yeah sure! No problem. Go ahead and take as ,many picture as you like but please no flash!" I pretended I hadn't seen the sign in Weston Park Museum and snapped a few pictures anyway - cunningly waiting until the security staff had walked past. As you can see I have three pictures to share with you. The older oil painting in not very accomplished but the location is just fifty yards from this house, looking up Psalter Lane when it was just a rough track heading out of the city. 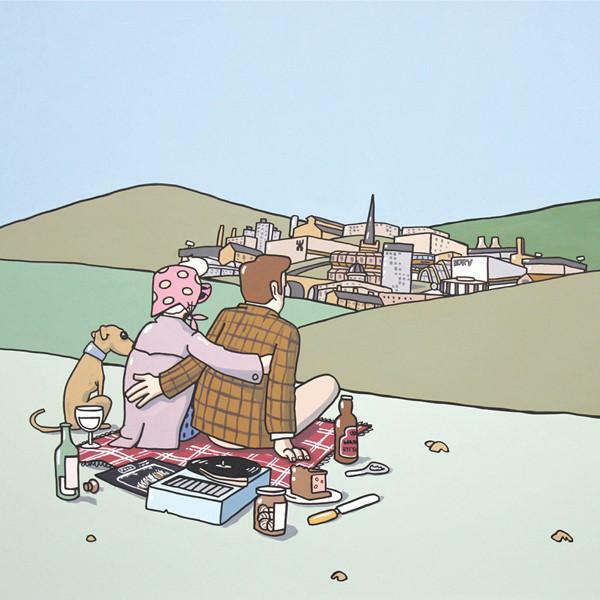 The two more modern pictures are by living local artists Joe Scarborough and Pete McKee. Both view their home city with affection and perhaps nostalgia for more innocent past times. Their styles are very distinctive - possibly because they were both self-taught and simply driven by twin passions for art and Sheffield. On Wednesday morning, I undertook a suburban walk before my afternoon shift at Oxfam. Greenhill was bathed in sunshine as I wandered about the area for a couple of hours. In this time I saw whole streets of low-rise social housing as well as a semi-detached wonderland of private homes with extensions, block paving, security lights and front room interiors by IKEA or Oak Furnitureland. I was reminded of a similar suburban walk when I was eighteen. It was a hot day and two pairs of neighbours were chatting at the end of their driveways. As I passed by, I overheard one of the arm-folded women declaring, "We exist on snacks". That phrase has always remained with me, like a piece of poetry. "We exist on snacks" - the motto of the suburbs. Up Greenhill Main Road, I came to two pubs - "The White Hart" and "The White Swan". The former appeared to be on its last legs as the roadside pub sign was missing from its frame and on the front wall of the building there was an ominous "For Sale or To Lease" sign. I first went in "The White Hart" in 1980 after a parents' evening in nearby Rowlinson School where I used to work. Alas, that school was also resigned to history even before this new millennium arrived. The two pubs are in the oldest part of Greenhill with several old stone buildings and even a listed manor house. It's easy to imagine the little agricultural village that was, in the course of time, consumed by Sheffield's urban sprawl. Now it's just another part of the suburbs. I looked the word up - "suburbs" I mean. It was hatched way back in Roman times. Our familiar modern term grew directly from the Latin suburbium - meaning close to (sub) urb/urbs (city). However, I doubt that any Roman ever visualised what a modern English city suburb would be like. with its twitching curtains that conceal so many suburban dreams.